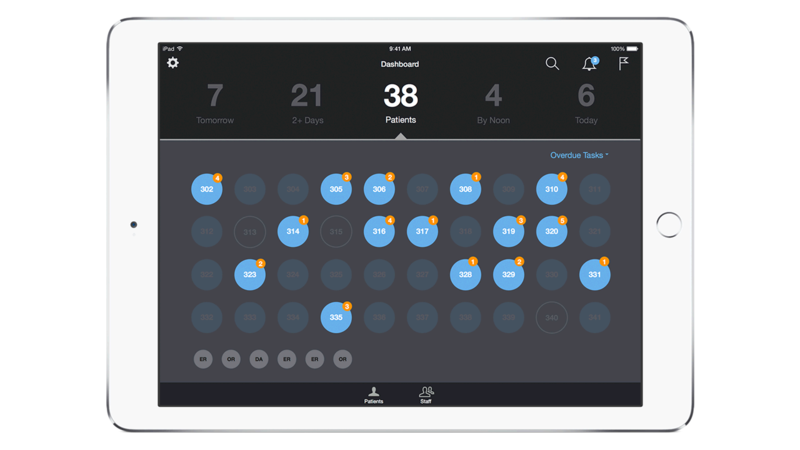 See team notes, get notifications, complete and assign tasks and access patient data from a room view with drag-and-drop ease. Identify areas where the manager is needed and respond to urgent messages in real time. Update and share information fast. Room cards link to patient history, current vital signs, labs, clinical status, care plans, doctor and staff notes, voice memos and more from EHR.